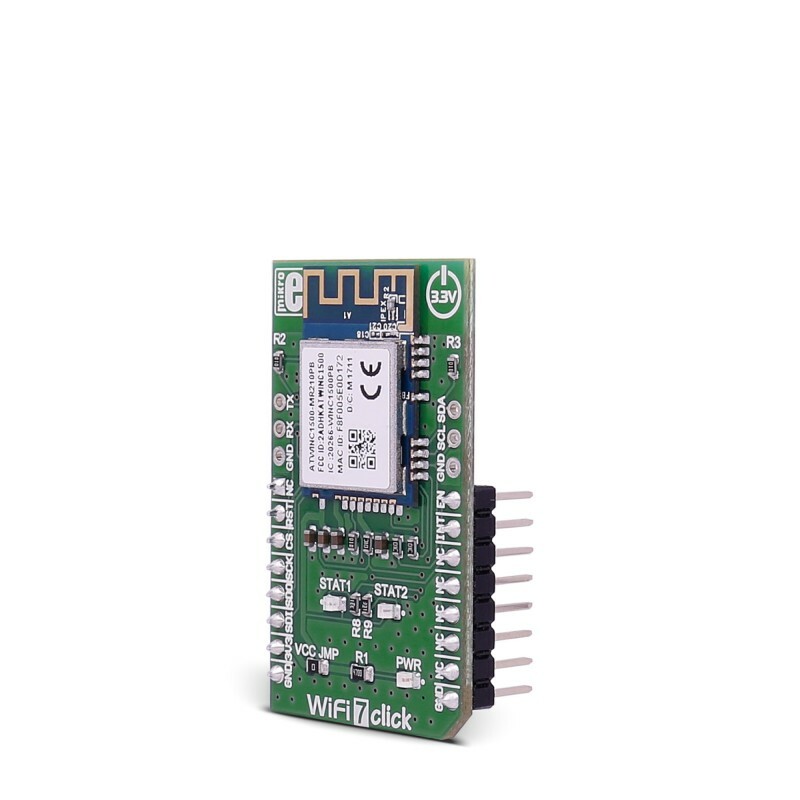 WiFi 7 click carries the ATWINC1510-MR210PB IEEE 802.11 b/g/n module, specifically optimized for low-power IoT applications. The click is designed to run on a 3.3V power supply. 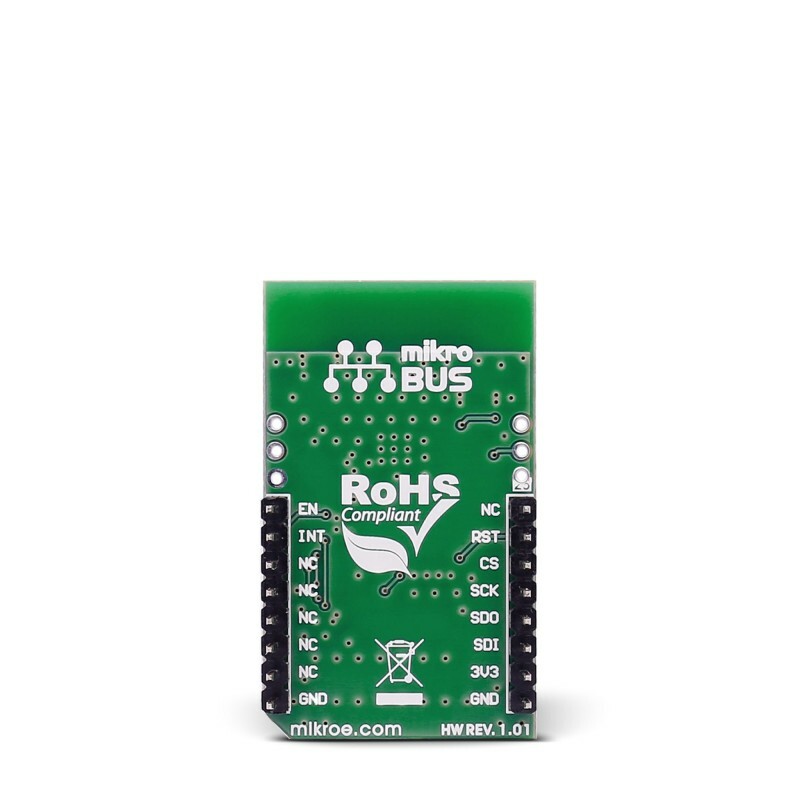 It communicates with the target microcontroller over SPI interface, with additional functionality provided by the following pins on the mikroBUS™ line: PWM, INT, RST. 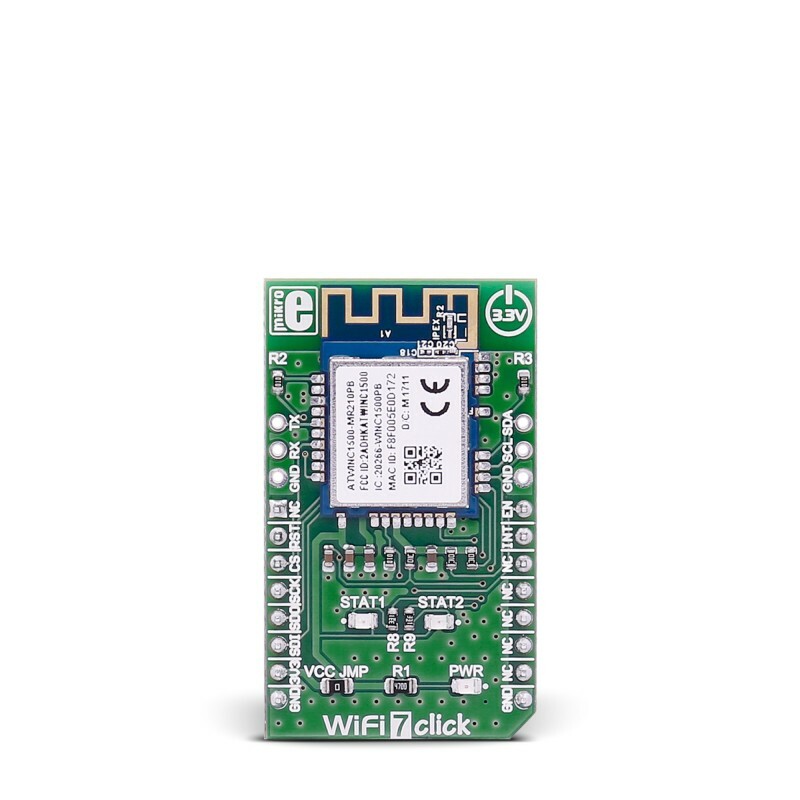 WiFi 7 click carries the ATWINC1510-MR210PB IEEE 802.11 b/g/n module, specifically optimized for low-power IoT applications. The click is designed to run on a 3.3V power supply. It communicates with the target microcontroller over SPI interface, with additional functionality provided by the following pins on the mikroBUS™ line: PWM, INT, RST. 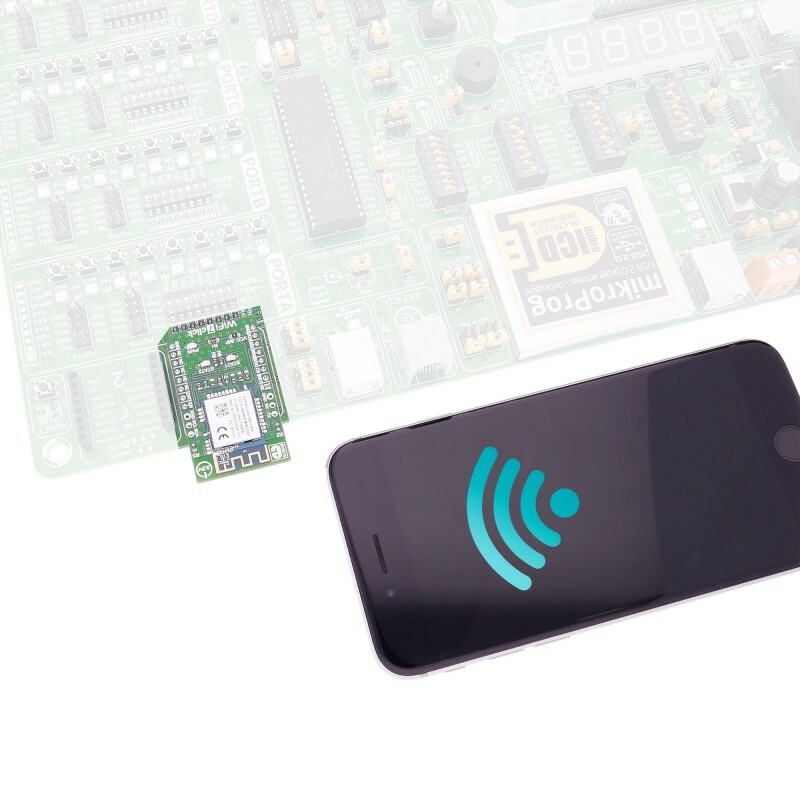 The ATWINC1510-MR210PB is a low-power consumption 802.11 b/g/n module which is specifically optimized for low-power IoT applications. The module has a Cortus APS3 32-bit processor. This processor performs many of the MAC functions, including but not limited to association, authentication, power management, security key management, and MSDU aggregation/de-aggregation. In addition, the processor provides flexibility for various modes of operation, such as STA and AP modes. This table shows how the pinout on WiFi 7 click corresponds to the pinout on the mikroBUS™ socket (the latter shown in the two middle columns). Code examples for WiFi 7 click, written for MikroElektronika hardware and compilers are available on Libstock. The following code snippet shows the default main function for all examples.